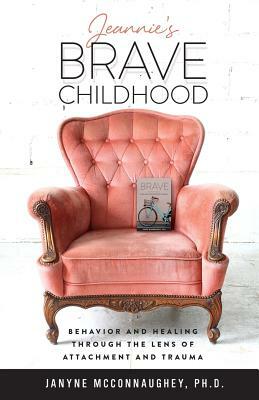 Jeannie, the resourceful and resilient child self of author Janyne McConnaughey takes center stage in this companion book to BRAVE: A personal Story of Healing Childhood Trauma. This second psychological memoir offers a literary adventure bringing insights into both child behavior and paths to healing. The author uses parts of her own story, her early-childhood expertise, storytelling ability, and the creative interweaving of her beloved childhood books to provide a lens for viewing behaviors of all children - but especially those who have suffered attachment wounding and trauma. Jeannie's Brave Childhood will give hope to those who care for children who have experienced relational trauma and/or the deep wounds of broken attachment. The work involved in re-framing Jeannie's incorrect internalized childhood messages provides a path to healing, behavior change, forgiveness, growing faith, and rediscovering simple joys for both children and adults. The healing relationship between the author and her child self, Jeannie (a composite of several dissociated child selves), illustrates the dedication, trials, and triumphs inherent in developing the attachment relationship necessary for full healing.